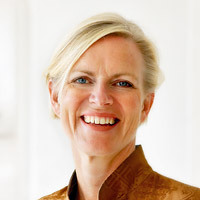 Merete Sparre received her training in psychomotoric physiotherapy and was one of the first practitioners and instructors of taijiquan and qigong in Norway. Further she has completed an educational programme in Communicology – interdisciplinary studies of communication and change. In 1984 she established her own company, Tropos, which offers therapy, guidance, lectures and hands-on seminars. Merete’s clients have included speech therapists in Iceland, actors in Germany, psychiatrists in Russia, golf coaches in Sweden, priests in Spain, and musicians and singers in Norway. Her work is aimed at helping those in good as well as in poor health, and who seek guidance and inspiration within a process of change. Tropos means turning point or change. Contact Merete Sparre here!